Whale watching Feeding on ghost shrimp at the south end of Whidbey & Camano Islands or off the Snohomish Delta near Everett is where you have the best chance of spotting the annual migration of 10-12 gray whales that pass through North Puget Sound from March to May. Sounders as they are affectionately called, have paid visits to our area for years on their way to Alaska from Mexico, a 10,000 mile journey. And we are more than happy to have them make a guest appearance. Tourists and Seattle area locals alike take to their favorite spotting sights, be it on boats near the waters of Possession Sound or the shorelines of Island and Snohomish counties, to see these magnificent mammals that stretch from 45-50 feet in length and weigh 35-40 tons. Just keep in mind when looking for a migrating gray whale that it has a predictable breathing pattern, usually it blows water 3-5 times in intervals lasting 15-30 seconds before raising its fluke & submerging out of sight for another 3-5 minutes. That is important because when it resurfaces it won't be where it was: gray whales can stay submerged for up to 15 minutes, and travel at 3-6 miles per hour. Our area also hosts Orca, Minke, Humpback and many more types of whales. For the most up to date info on the gray whales and sightings specifically, your best bet is to check out Orca Network's Facebook Page or head to the Langley Whale Center which offers all who enter the opportunity to learn more about our North Puget Sound gray whales. Over 1.5 million people can't be wrong. Year after year, that many people from across the U.S. and the world travel to see a 268 foot, 82 meter natural wonder on the Snoqualmie River in Washington state called Snoqualmie Falls. Some have called it Niagara Falls West, but we just call it The Falls because it is unique in its American history, in its place in cult history, and in its physical presentation that lends itself so well for tourists. Located only 25 miles from Seattle – Snoqualmie Falls is one of the most stunning falls you will visit in the United States. But beyond a thunderous example of mother nature at work, it is also now a major source of naturally generated hydro-electric power for the region. History tells us that the Snoqualmie River was an important meeting place for native peoples in the Northwest; as trade among them grew to become a regular form of barter, a seasonal rendezvous atmosphere developed. That lead to The Snoqualmie Tribe (a subgroup of the Coast Salish) to establish a camp at the base of Mount Si. The name “Snoqualmie” is, in fact, the English pronunciation of “sah-KOH-koh” or “Sdob-dwahibbluh,” a Salish word meaning moon. Thus, it comes as no surprise that Native Americans who roamed the valley were known as “people of the moon.” And that Snoqualmie Falls became a sacred place for Native American culture and spirituality. Which oddly enough, made it an interesting selection to be featured in the iconic mystic cult hit TV series Twin Peaks in 1990. With Showtime planning to broadcast a new Twin Peaks series Spring 2017 we expect the pilgrimage to see Snoqualmie Falls take an upward spike in numbers. When those visitors come, they will observe the Falls from a convenient park area with a spectacular platform offering 180 degree views of the rushing/falling waters. The Falls are open daily from sunrise to sunset, with free admission and parking. Interstate 90 Eastbound, then take exit 25, turn left and head North (uphill) through the Snoqualmie Ridge housing development. Continue until you go downhill off the ridge past railroad tracks. At this point the road ends; signs will direct you to turn left on to 202, and in about a half mile you will come upon Snoqualmie Falls park. Car-Free? From downtown Seattle, take Sound Transit’s Route 554 bus to the Issaquah Transfer Center, then catch Metro’s Route 209 bus toward North Bend. 90 minutes later you will find yourself at Snoqualmie Falls park. The 209 runs hourly Monday-Saturday (sorry, no Sunday service). RV parking is available at Snoqualmie Falls and there is also a hiking trail if you want to make it more than just a daytrip. Dogs on a leash are welcome, drones are not. Congratulations to my Snoqualmie Ridge Sellers on their recent closing at $15k over list price! 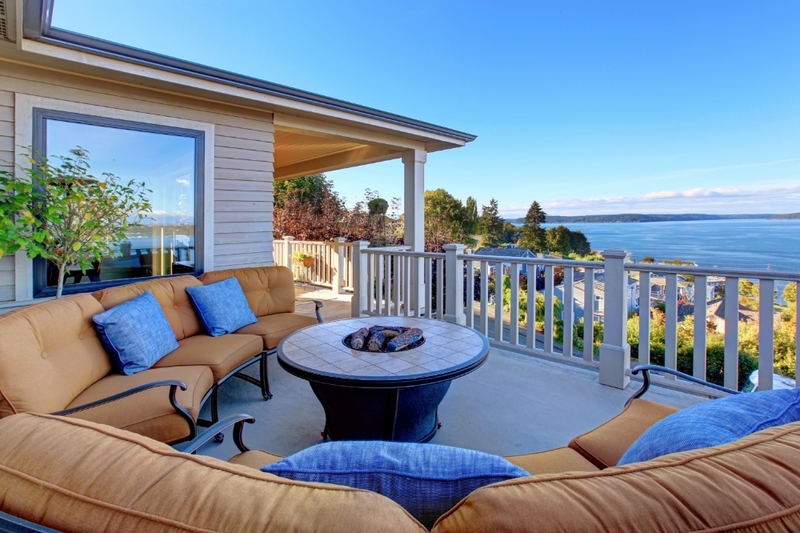 The Puget Sound housing market continues to experience an unprecedented surge in home values. The two contributing factors continue to be low inventory levels and low interest rates which helps keep demand up. Speculation continues to rise as the Fed gets ready to meet in the middle of June. A rate increase could soften the housing market at a time when the country might not be ready for it. In the meantime there is almost a gridlock with not enough home owners moving resulting in not enough homes available for buyers. Builders may be the biggest winners in this market but it seems they aren’t producing enough new homes to squelch demand.